Marie-Clare currently works as a research assistant in the Midwifery department at the University of Central Lancashire, UK. Marie-Clare’s background is in History and Women’s Studies. She has worked as a lecturer and an academic and community based researcher. 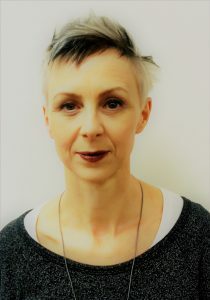 Her research interests are; migrant women’s experiences of maternity care and childbirth in the UK and Europe, social support, and historical and socio-cultural perspectives on women’s health particularly menopause. Her current research focuses on the experiences of asylum seeking and refugee women and social support for marginalised women. She is grant manager for COST Action IS1405 and on the steering committee for Babies Born Better European survey. Soo spent 15 years working as a midwife in various clinical, research, and project development roles. In January 2001 she joined the University of Central Lancashire (UCLan) in England, where she is now the Professor of Midwifery Studies. Her main research focus is the nature of, and cultures around, normal birth. 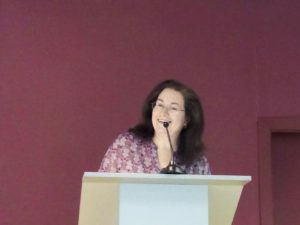 She is the editor of ‘Normal Birth, Evidence and Debate’ (2004, 2008), and the founder and Chair of the International Normal Birth Research Conference Series which is now in its 11thyear, and which has been held in the UK, Canada, China, Brazil, and (this year) Australia. She was the principle investigator on the SHIP trial of the use of self-hypnosis in labour (funded by the NHS RfPB) and on an EU COST Action on childbirth contexts, cultures and consequences, which involved 26 countries. She is now the Chair of and PI for a new EU COST Action (IS1405) which includes 31 countries and over 120 scientists from a wide range of disciplines. The B3 survey has been part of both COST Actions. Mechthild Gross holds a degree in nursing and midwifery, a Masters degree in psychology, a PhD, and a postdoctoral thesis (Habilitation). Since 2015 she has been professor of midwifery at Hannover Medical School. 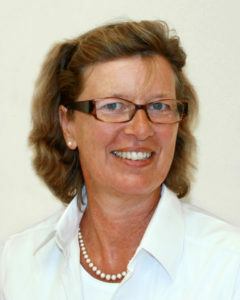 Since 2009, she has been the head of the European Master of Science in Midwifery at Hannover Medical School. At present she is the principal investigator for the German part of the OptiBIRTH-study: Improving the organisation of maternal health service delivery, and optimising childbirth, by increasing vaginal birth after caesarean section through enhanced women-centred care in Germany. Prof Gross was the vice chair and German representative on the Management Committee of the COST Action IS0907 Childbirth cultures, concerns and consequences. 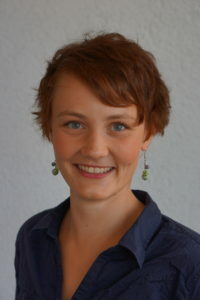 She is the German representative on the Management Committee of the current COST Action IS1405 (2014-18). Marina Weckend is a midwife (RM, MSc) and currently works as a research assistant at the Midwifery Research and Education Unit at Hannover Medical School in Germany. She also practices as a freelance midwife and runs a midwifery service in a refugee camp in Celle, Germany. Marina completed her midwifery training in 2010 with a German state exam and then worked as a midwife at Bart’s Health in London, UK. She graduated at University of Central Lancashire, UK with an MSc in Midwifery and Women’s Health in 2015. Marina is a member of the COST Action IS1405 in workgroup III, exploring socio-cultural perspectives of chidlbirth across Europe. Her current research covers various areas including maternity care for marginalised populations, de-medicalisation of childbirth, prevention of preterm birth and human rights and choice in childbirth. 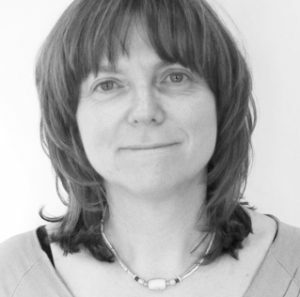 Lucy Frith is Reader in Bioethics and Social Science at the University of Liverpool. She has a taught health care ethics to medical students and health care professionals for a number of years. Her research focuses on the social and ethical aspects of health-care decision-making, policy and regulation, with a particular interest in empirical ethics and socio-legal approaches. 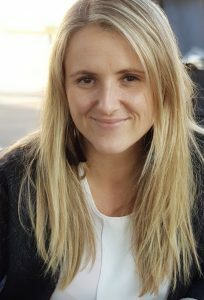 She has carried out research on pregnancy and childbirth; reproductive technologies (gamete and embryo donation); research ethics (clinical trials and public involvement and cross-cultural issues in consent); the organisation and funding of health care provision; and the use of evidence in practice and policy. She has held visiting fellowships at the Centre for Research in Arts, Social Science and Humanities (CRASSH) at the University of Cambridge and the Centre for Medical Ethics and Law at the University of Hong Kong. 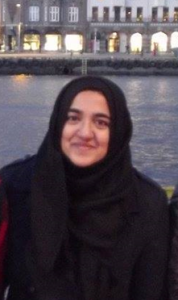 She is on the steering committee of BBB and is a member of the UK data team. Mário J.D.S. Santos is a research assistant at the Instituto Universitário de Lisboa (ISCTE-IUL), in Lisbon, Portugal. He has nursing degree (2007), a MSc in health, medicine and society (2012) and a post-graduation in data analysis for the social sciences (2016). 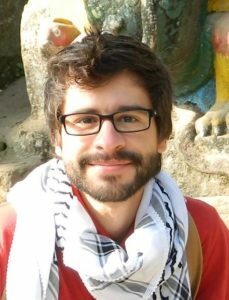 He is currently a PhD candidate in sociology, in the same university, and his research is focused on the networking and professionalisation processes of home birth professional actors in Portugal. He is member of the BBB Steering Committee and National Coordinator for Portugal. Dr. Elena SKOKO is a mother, birth activist and independent researcher. She is Political Advocacy Coordinator for Human Rights in Childbirth in Italy. Dr. Alessandra BATTISTI is a lawyer. She is Legal Advocacy Coordinator in Italy for Human Rights in Childbirth.She has been collaborating with professor Salvatore Bonfiglio, at University Roma TRE, since 2006. Alessandra and Elena are members of the Steering Committee and Country Representatives of Babies Born Better Survey. 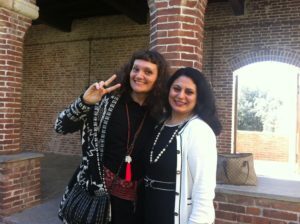 They are founders of the research unit “Human Rights in Maternity and Childbirth” at the University Roma TRE. At the national level, they are members of CoRDiN Committee and of the Editorial Board of D&D Magazine for Midwives in Italy. They are founders of the Obstetric Violence Observatory Italia (OVOItalia) and coordinators of the national social media campaign against obstetric violence “#bastatacere: le madri hanno voce“. They have translated the official Italian version of the WHO statement on “Prevention and elimination of abuse and disrespect during facility based childbirth”, the statement on “Caesarean section rates”, and the International Mother-Baby Childbirth Initiative’s 10 steps. They are Country Representatives for IMBCO. They are currently working on the Italian set of data from 2014-2015 BBBSurvey. Better survey. Since 2015 she has worked on the data management and analysis of the Babies Born Better survey as well as the management of the website and survey website. She is also on the UK team and works with other country coordinators on BBB data analysis.